Network inventory & PC auditing solution allowing scans of your entire network in minutes, not hours or days. 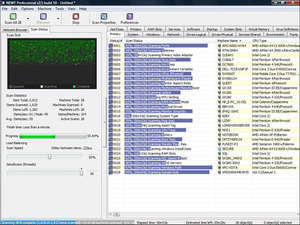 While other solutions may use agentless methods crippled by registry & WMI errors, NEWT uses newly developed techniques to gather configuration data with minimal effort & low bandwidth usage. Columns can be moved and resized. Version 2.5.153 is a freeware program which does not have restrictions and it's free so it doesn't cost anything. For security reasons, you should also check out the NEWT Freeware download at LO4D.com which includes virus and malware tests. Additional screenshots of this application download may be available, too.